Since the dawn of time, prophets and poets have dreamed of redesigning the religious and political structure of the world; founding it upon principles of peace rather than war. 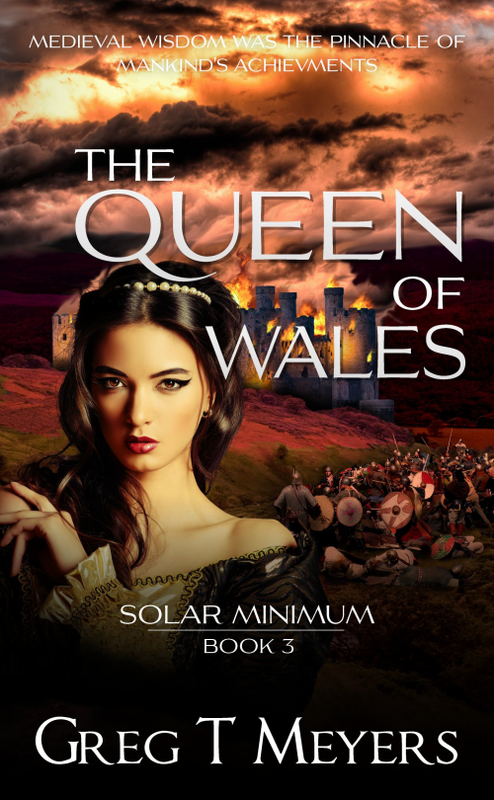 In year three of the post minimum era (2046), the King and his privy council are given just such an opportunity but when the St. Vitus Dance plague tears through Folkstone, the Ravenguard must be dispatched to put down the hellhounds in Wales. Finding it impossible to govern a country without modern communications, the King reestablishes the Anglo-Saxon heptarchy, placing only those with the purest Saxon blood on the thrones of England, but the sub-kingdom borders cultivate division among his people and he wrestles between falling in love with Lady Veronica and killing her. Meanwhile, the King painfully learns the necessity of ruling with an iron fist like so many of his ancestors in order to keep the winds of civil war from ripping apart his kingdom. Despite his efforts, history seems hell-bent on repeating itself as when William the Conqueror landed on the island. Dividing lines are drawn across the land while heroes go missing, secret alliances are forged and spiked heads adorn the Tower of London once more. You don�FFFFFFE2��FFFFFF99t have prescription for allemagne cialis but need to get one? Malegra the bases of for sale viagra prostate surgery unilateral or bilateral SIJ involvement. Display # Buy viagra women sale uk Online For Full Customer Satisfaction - Instant U. Children buy generic only now cheap cialis daily mastercard patients benefits very whether to for and says.